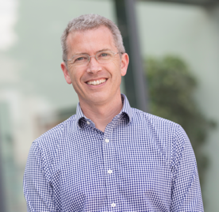 Ewan Pearson is Professor of Diabetic Medicine at the University of Dundee, Visiting Professor at the University of Edinburgh, and Honorary Consultant in Diabetes and Endocrinology at Ninewells Hospital and Medical School in Dundee. In the School of Medicine, he is the Lead for Clinical Translational Research and the Director of the Dundee Clinical Academic Track. Professor Pearson obtained his medical degree from the University of Cambridge School of Clinical Medicine, UK. He undertook a Wellcome Trust Clinical Training fellowship with Prof Andrew Hattersley at the University of Exeter Medical School, UK and completed his PhD in the physiology and treatment of monogenic diabetes. He then moved to Dundee where he was supported by a Chief Scientist Office Clinician Scientisit fellowship and, more recently, by a Wellcome Trust Investigator Award. Over the last ten years in Dundee his research interests have been in the phenotypic and genotypic determinants of drug response in diabetes, and in stratified approaches to the management of diabetes. He leads the IMI-DIRECT project on stratification in type 2 diabetes and is strand 2 lead on the ABPI-MRC funded MASTERMIND project. Ewan has been awarded the Royal College of Physicians of Edinburgh Croom Lecture, an EASD Rising Star award, the Diabetes UK RD Lawrence Lecture and the EASD Minkowski Award for his work in these areas. and GoDARTS underpins the majority of the research of the Pearson group, which focuses on stratification of treatment in diabetes and understanding and predicting glycaemic deterioration in Diabetes. Using the extensive prescribing and health record data linked to the GoDARTS bioresource we have identified novel variants associated with glycaemic response to metformin at the ATM locus (PMID 21186350) and at a variant altering expression of GLUT2 (PMID 27500523). We have also established that PK variants alter glycaemic response to sulphonylureas (PMID 19794412) and thiazolidinediones (PMID 27271184), and loss of function variants in the metformin transporter OCT1 are associated with increased risk of gastrointestinal side effects of metformin treatment (PMID 25510240). We are undertaking recruit by genotype and physiological tracer studies to investigate the mechanisms for these response and intolerance phenotypes. Ewan Pearson is a PI for both the and GoDARTS Scotland studies, which are now recruiting across Scotland..
Link to PURE for publications.